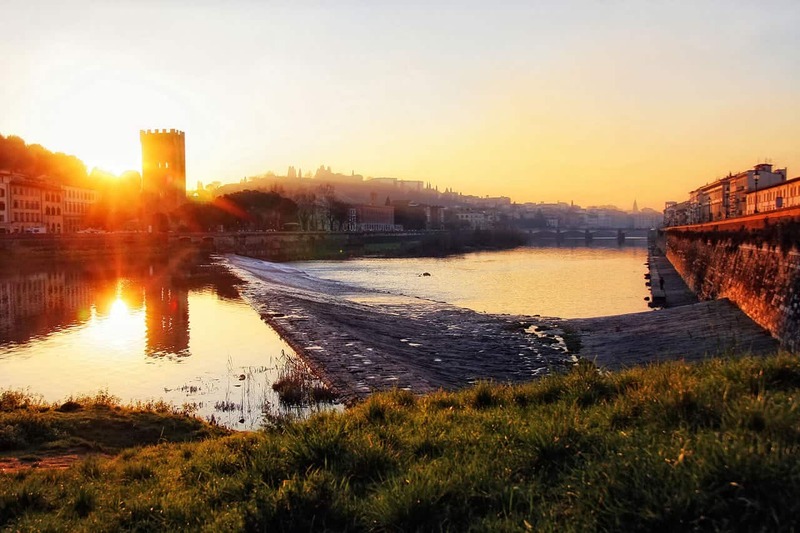 Firewors over the Arno on 24 June are just one of the reasons the Arno is great! Taking a boat trip along the River Arno is a great way to explore the city of Florence in comfort and style. the river runs through the very heart of the city, past a large number of magnificent monuments and buildings and visitors will have plenty of time to take in the sights and capture them on camera while also learning more about the history of certain buildings as well as the important role that they played in shaping the culture of Florence from knowledgeable local guides as the boat glides slowly past. 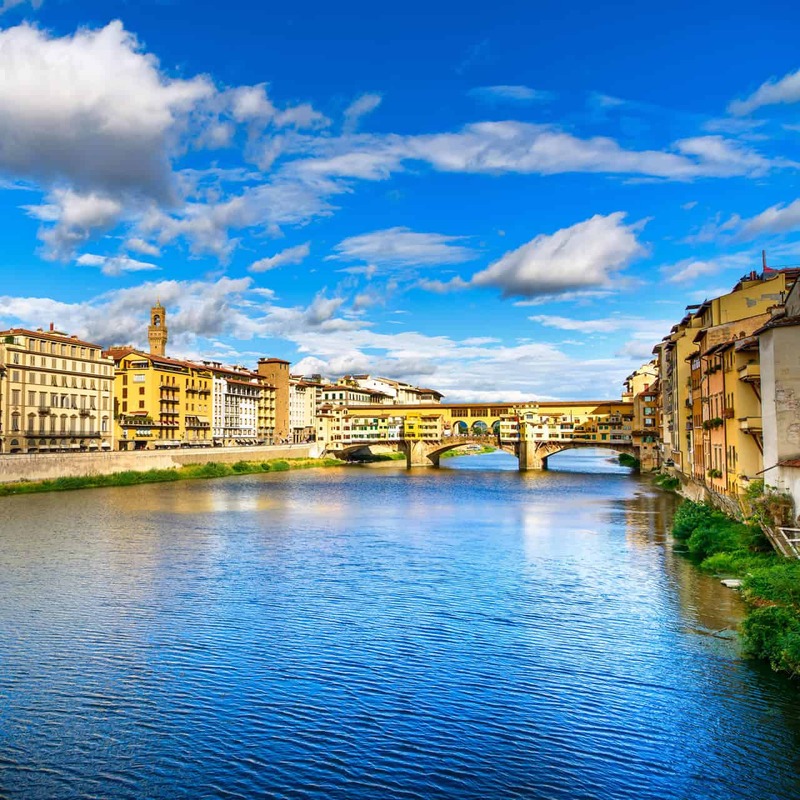 The Arno River once served as an important transportation hub and brought shipments of goods from neighbouring cities as well as making it possible for people to get around Florence more easily. 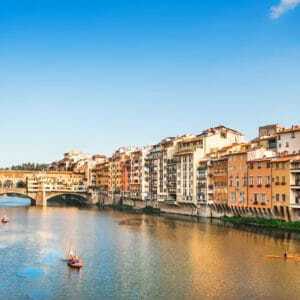 One of the most famous sites that can be admired while taking a boat ride along the River Arno is the Ponte Vecchio, which is commonly known to visitors as the Old Bridge. The magnificent Duomo can also be seen nearby as well as the Oltrarno train station on the opposite bank of the river. 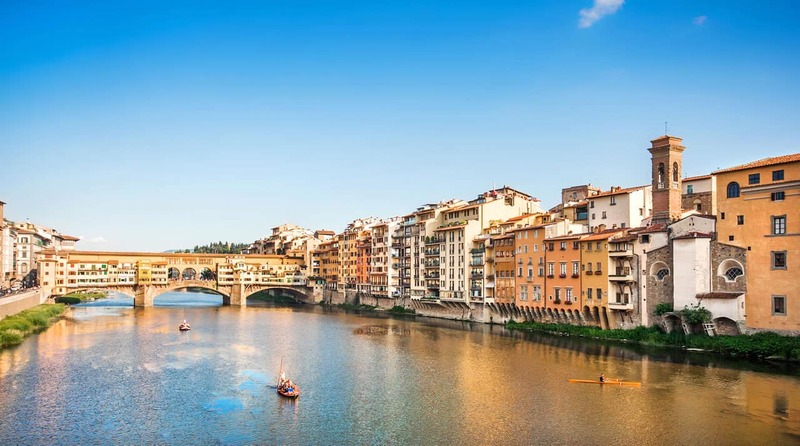 A number of different boat trips can be taken along the River Arno, from commercial tourist boats to smaller and more intimate boats that are ideal for families or couples that want to embrace the romantic atmosphere. Simply strolling along the banks of the river after dark is also a stirring experience and the river is lined with several bars and pavement cafes where visitors can pause for refreshment while taking in the view.